Here’s a weird fun fact for you on a slow news Tuesday: there’s a very real familial link between Apple CEO Steve Jobs and TV’s Homer Simpson. Here’s how. As some of you may know, Steve Jobs was put up for adoption as an infant. What you may not know is that Steve Jobs’ birth parents are Joanne Carole Schieble and Abdulfattah Jandali, who put him up for adoption because they weren’t married at the time. Later, when they married, they had another child: Mona Jandali. However, Jandali abandoned both Mona and her mother when Mona was five. 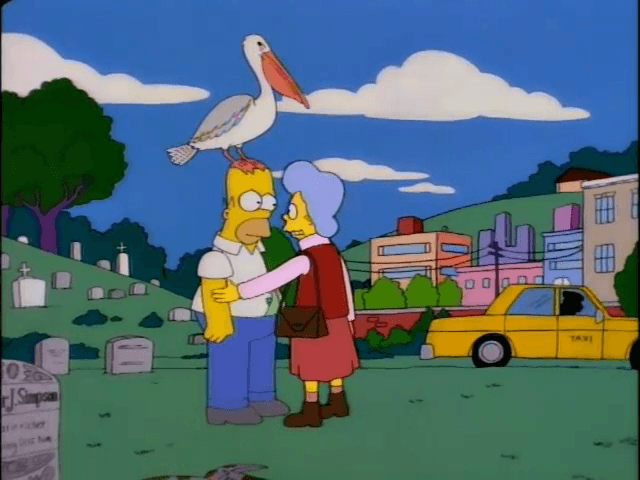 Joanne eventually remarried, at which point Mona decided to take her stepfather’s name and became Mona Simpson. In the 80s, Mona’s career as a novelist flourished, and she published several successful novels. During this time, she also married television writer and producer Richard Appel, who worked on The Simpsons and appropriated his wife’s name for that of Homer Simpson’s biological mother in the episode “Mother Simpson”. To summarize: Steve Jobs is the biological brother of the real-life inspiration for Homer Simpson’s mother. Or, put a more fanciful way, Apple’s CEO is Homer Simpson’s spiritual uncle.